A history professor in New York — a self-avowed Democratic socialist — is facing intense backlash because she admitted she wants to hug former President George W. Bush following his father’s death. I opposed George W. Bush in all things for eight years. Now, all I can think about is that he has lost both parents in one year, and I just want to hug him. Potter was swiftly rebuked for daring to post a tweet with human emotions, relating to a former president — in a completely non-political way — following the deaths of both of his parents. And seriously — who would you prefer to be loved by, God or Twitter? Former President George H.W. Bush died last Friday at 94 years old. Former first lady Barbara Bush passed away at the age of 92 in mid-April. 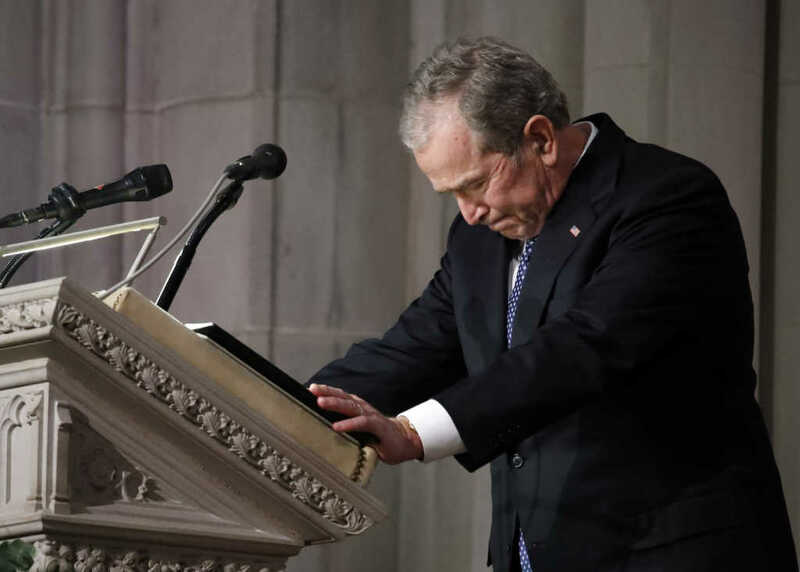 The elder Bush had funeral services this week in Washington, D.C., and Houston.